Getting Married is a once-in-a-lifetime occasion (let’s hope), so it is imperative to make memorable wedding plans! Of course, you could get married and take your honeymoon in the Smoky Mountains. 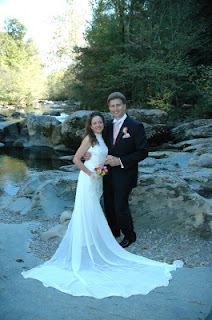 Or you could do a destination wedding, with your guests, in beautiful Gatlinburg Tennessee. Gatlinburg offers a very affordable option to those that want a destination wedding and will be hosting guests from all over the Country. The National Park offers a great backdrop for a wedding. It also gives your guests some weekend activities to do, while they are attending the wedding. Its scenic beauty of glorious mountains, serene forest, rushing streams and cascading waterfalls is the perfect setting for a romantic Gatlinburg wedding. 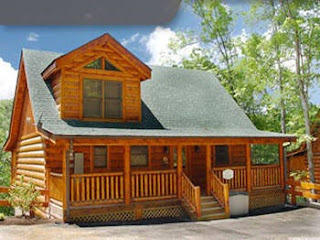 Over twenty wedding chapels in Tennessee and services are located in Gatlinburg. Brides dreaming of a formal wedding will find that their dreams can come true, whether they want a traditional white chapel or a charming log chapel. Every wish can be met during a Gatlinburg wedding including candlelight ceremonies, professional photography, camera videos, and elegant receptions. Couples dreaming of a simpler wedding also have many options. Many of the Gatlinburg wedding chapels offer gazebo, garden, or waterfall settings. Aunt Bug’s Cabins is one luxury log cabin provider that offers bridal couples private cabin settings with mountain and creekside views. Also, there are Gatlinburg wedding services that will perform weddings at an outdoor location of your choice, such as by a mountain stream, mountain or riverside cabin, or a natural waterfall in the Great Smoky Mountain National Park. Many services and vendors are available to you and your wedding party including limo services, florists, photographers, caterers, dress shops and tuxedo rentals. Additional benefits are easy access, first-class quality chapels that charge reasonable rates, and marriage-friendly laws. In the state of Tennessee, no waiting period or blood test are required. All that’s necessary is a license (ask the Chamber of Commerce for locations), be 18 years of age or older, and have lots of love in your heart. Couples can even pick up their marriage licenses on a Saturday in Gatlinburg. Another popular trend is to get married in your honeymoon cabin or chalets, which offer privacy and incomparable mountain settings. Gatlinburg offers the bride and groom everything needed for that perfect day. Gatlinburg, often called “Wedding Capital of the South,” is the ideal place to set the tone for years to come. Still, if you desire to get married in your local hometown, consider Gatlinburg as your honeymoon destination. There are honeymoon cabins that now offer mountain views, heart-shaped jacuzzis, private indoor pools, hot tubs, fireplaces, porch swings, floral bouquets, in-room dining, and privacy. 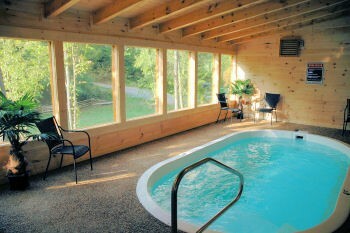 The Gatlinburg cabin rentals are affordable and beautiful for your romantic hideaway in the Smokies!